With the platting of this Southeast quarter, the entire 444 acres, which comprise Laurelhurst, are now on the market. When we take into consideration the fact that this tract is one mile long and three-quarters of a mile wide, and think of it as a whole, entirely improved on one comprehensive plan, it is easy to realize that there can be no place more delightful to its residents in this or any other city, and for that reason it is justly termed "The Addition With Character." This is one of the great reasons for our enormous sales of over one and one-half million dollars since last October. Money invested in Laurelhurst lots will yield very large and quick returns, because these lots are now being sold at just about one-half the prices asked for similar property in other parts of the city. It is safe to say that the lots now selling from $1000 to $1500 each will sell at more than $2000 each within two years, and these values will continue to grow with the growth of the city. There will be 26 miles of asphalt streets in this tract, 26 miles of 4-inch gas, 8-inch water and 10-inch sewer mains. There will be 52 miles of cement walks, 52 miles of 9-foot parking strips, shade trees and handsome cluster lights. This means 52 miles of handsome homes, built according to a building restriction which limits the use of the property to single, detached dwelling houses, ranging from $2500 to $5000 each, and which compels all buildings to be set back at least 21 feet from the sidewalks. 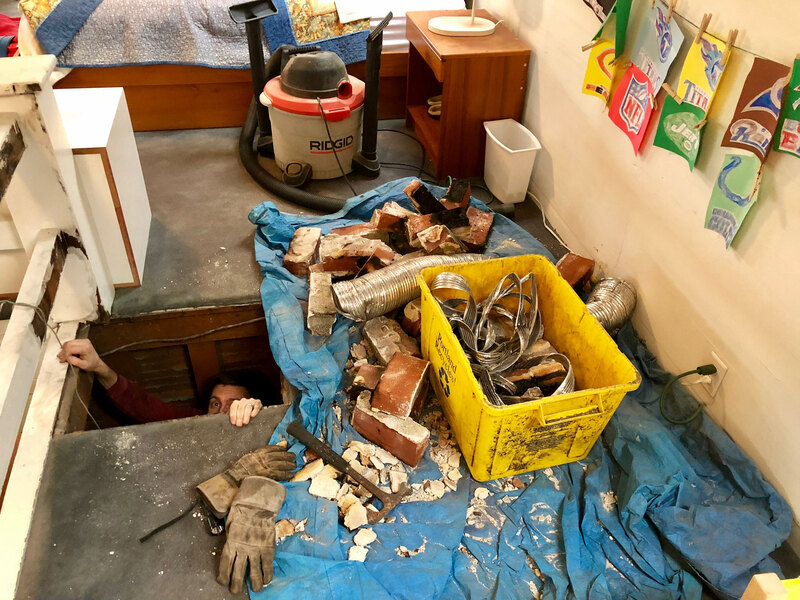 This will ensure a uniform standard of improvements, with fine lawns and gardens and which will make Laurelhurst the most attractive residence spot in Portland. 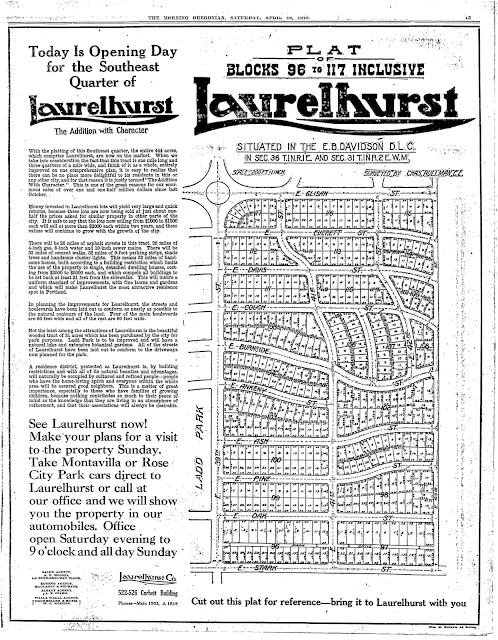 In planning the improvements for Laurelhurst, the streets and boulevards have been laid out to conform as nearly as possible to the natural contours of the land. Four of the main boulevards are 80 feet wide and all of the rest are 60 feet wide. Not the least among the attractions of Laurelhurst is the beautiful wooded tract of 31 acres which has been purchased by the city for park purposes. Ladd Park is to be improved and will have a natural lake and extensive botanical gardens. All of the streets of Laurelhurst have been laid out to conform to the driveways now planned for the park. 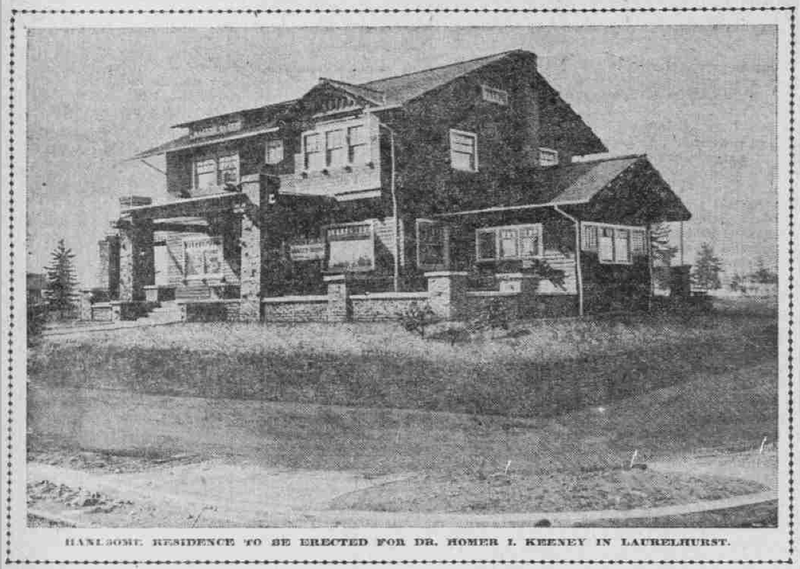 A residence district, protected as Laurelhurst is, by building restrictions and with all of its natural beauties and advantages, will naturally be occupied by cultured and refined people—people who have the home-loving spirit and everyone within the whole area will be assured good neighbors. This is a matter of great importance, especially to those who have families of growing children, because nothing contributes so much to their peace of mind as the knowledge that they are living in an atmosphere of refinement, and that their associations always be desirable. On Tuesday the plat of the fourth quarter of the Laurelhurst will be filed and that property will be placed on the market. A heavy sale has ruled all Spring for the Laurelhurst lots and now, although it was not thought there would be any necessity for placing the fourth quarter on the market for 30 days, the sales in the three other sections have been so great that the platting of the fourth quarter has become imperative. In the fourth quarter, which is the southeastern section of the addition, there are 475 lots in the 90 acres, platted to contour and in the main 50x100 feet, although some of the lots are as much as 60x160 feet. One feature of this plat has been the creation of a driveway, 20 feet wide and asphalted, through the center of the line of blocks fronting on the Base Line road, which is East Stark Street. This will be used as a driveway to the garages for automobiles, etc. These lots fronting on the driveway will also have the regular frontage on the main streets. The prices under which this part of the addition will be marketed will range from $900 to $1600 for the 50-foot lots. 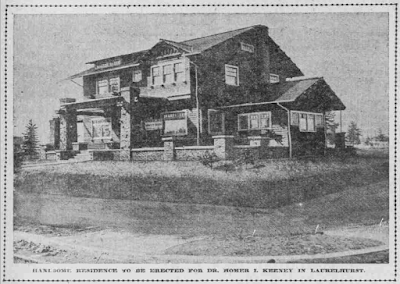 This part of the tract is to be improved in the same way as the entire addition, that is with every street hard-surfaced, cement sidewalks laid before every lot, eight-inch water main furnishing sufficient pressure for every season of the year, sewers, cluster lights, and all the other "Laurelhurst improvements." There will be about five and a half miles of paving in this quarter, bringing the total paving in the district to 26 miles with 66 miles of sidewalks, cluster lights, shade trees, etc. 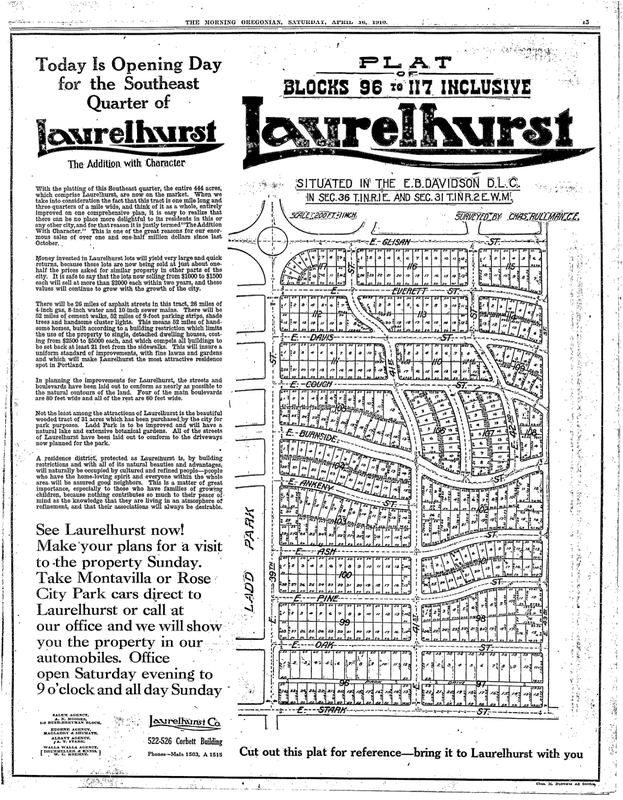 This fourth quarter of Laurelhurst adjoins the Ladd Park and lies about the same as the northwest quarter of the tract which was first placed on the market and in which practically every lot has been marketed. 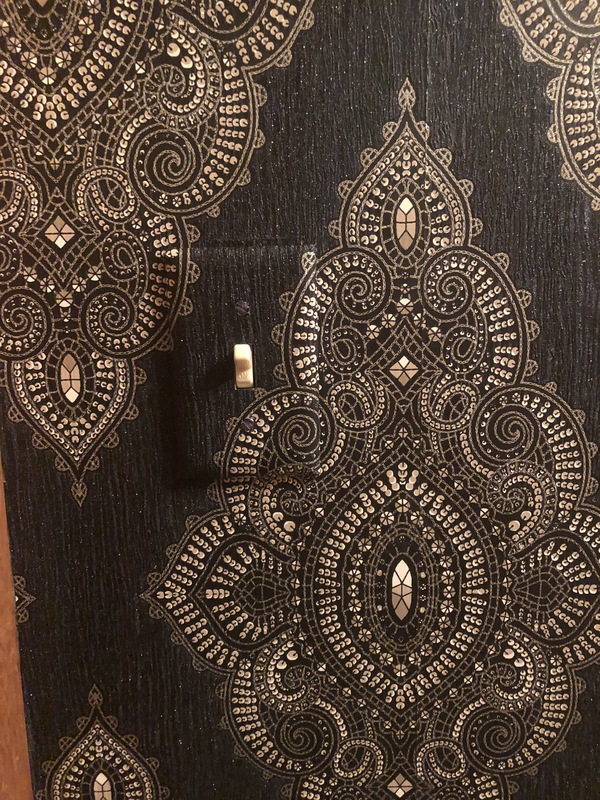 The sales are now going on in the second and third tracts where in about five weeks and 3/4s of the second plat has been sold and in three weeks about 1/5 of the third tract where the prices range the highest. A heavy sale is just starting in this third plat, which is being sold almost exclusively to persons intending to build homesites in the immediate future. Several houses were started in Laurelhurst last week and now there are dozens of homes under way all over the tract, not one of which will cost less than $3000 and some as much as $15,000. It is estimated that there are 125 homes projected on the lots already sold for the coming Summer. A large portion of the building contemplated is to be done in the first and third tracts. What amount of building will result in the fourth plat has not been determined, as up to this time none of these lots have been placed on the market. First and Second Plats Now Nearly Marketed and Heavy Sale of Remainder Starts Although placed on the market only early last week there have already been sold in the fourth plat of Laurelhurst, which comprises the last or southeast quarter of the tract, between $55,000 and $65,000 worth of property or between 20 and 40 lots while reservations have been made on a number of other lots in the tract. Another part of the tract which is selling rapidly is the second plat or northeast quarter which is now about four-fifths marketed by the Laurelhurst Company. The first part of the property which was thrown open to the public, the northwest quarter, is now practically entirely sold, there being but a few scattered unsold lots in this part of the addition. The third plat adjoining Ladd Park is also selling well, about one-quarter of the property in this, the most expensive part of the property, having been marketed. In all there has been sold about $1,750,000 worth of lots since the addition was first placed on the market. In the first section the development work is now a noticeable feature. The grading has all been finished and within a week the work of laying the asphalt will be started as well as of placing the cement sidewalks in front of every lot. The shade trees have all been placed in position, the lawns are being seeded and the water mains and sewers are now practically all laid. Building is going on all over the tract and the early promise of rapid development is now being fulfilled. This same class of improvements will be carried out in every part of the tract.